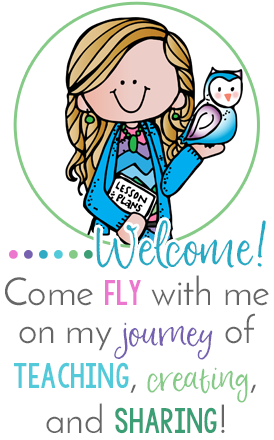 I am so excited to be hosting this linky with lots of help from my Peeps (the ladies from the blogs on the banner above). 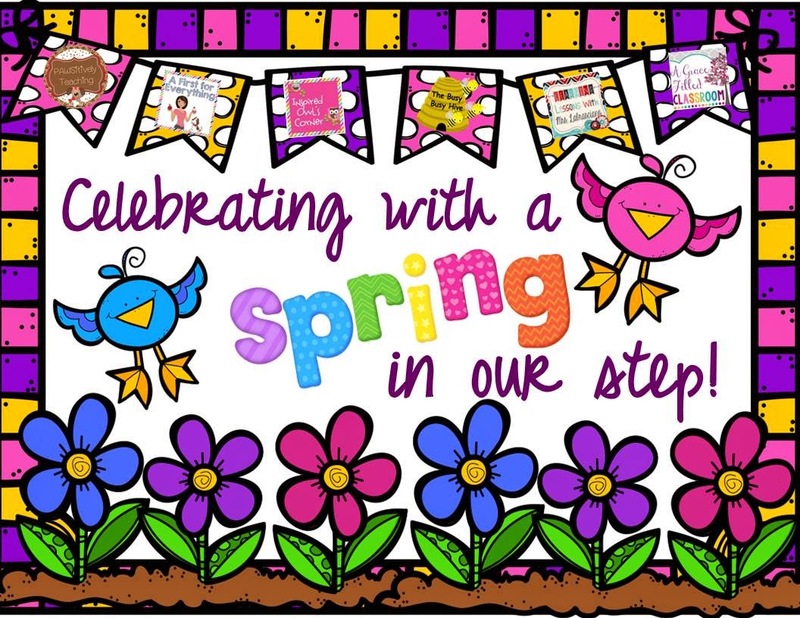 We talked about how we wanted to have a fun spring giveaway, and how many of us were reaching personal milestones on Teachers Pay Teachers and celebrating spring birthdays. 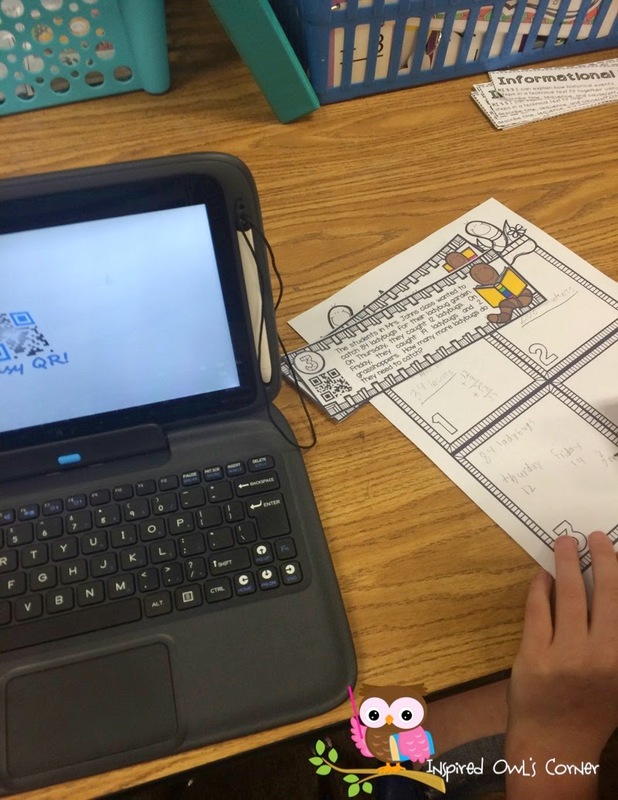 We reminisced about our classes this year, and the spring resources we love to use. Then the idea for this linky was created! Well, I am celebrating a birthday on Tuesday! I won't tell you how old I will be, only that I don't feel that old! My husband plans to take me out to dinner to my favorite restaurant, and I will vow to not order the same thing, but I will! Their chicken piccata is my absolute favorite! They make the most delicious cheddar mashed potatoes and perfectly roasted veggies- whatever is fresh and in season-YUM! They make the best homemade cobblers with vanilla bean ice cream, but I never have room and end up taking half of this home for lunch the next day! Has this school year completely flown by for you? I seem to feel that it does every year, but this year it seems to be especially true. Maybe it has something to do with the fact that I have had the best year of my teaching career with my 2/3 combo at my new school. Last year at this time I wasn't sure where I'd be, but I am so glad that things worked out the way they did! Don't be afraid to take the plunge and try something new, no matter how scared you might be. It could be just what you need to keep you going and growing as a teacher. I'm also thankful for all of the amazing bloggers and teachers I have become friends with on Instagram and in the blogging world. You have become my friends and colleagues, my constant go-to's for questions, inspiration and ideas. I have an excitement for teaching that is as strong (or maybe stronger!) as when I stepped foot inside my first classroom almost two decades ago! Thank you for sharing your love of teaching with me! :) I love our community! I LOVE to teach with seasonally-themed products! 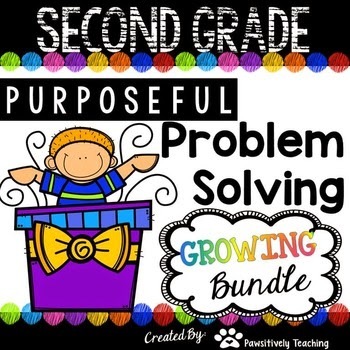 My kiddos have been practicing problem solving with this fun growing bundle from PAWSitively Teaching. Since we have gotten our devices, my students haven't gravitated to my task cards during their independent practice time like they used to. 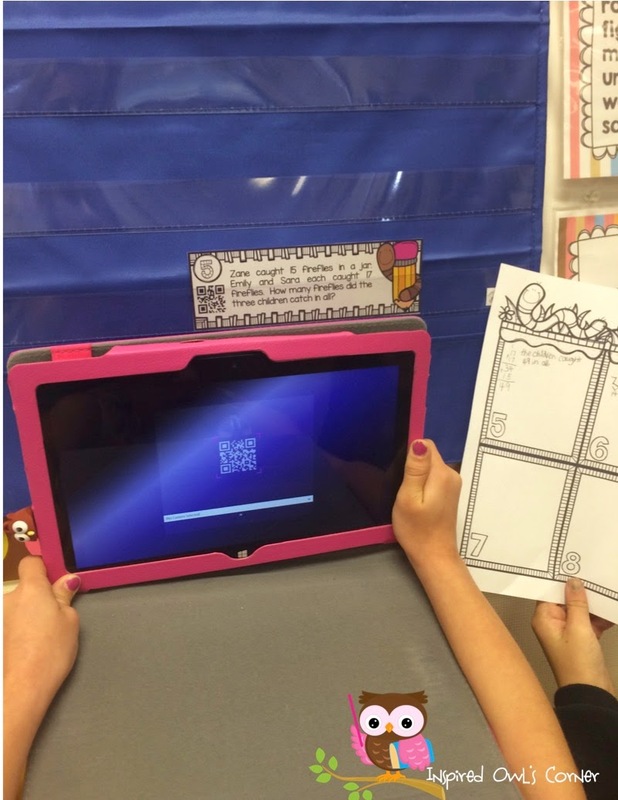 I found a solution to that- QR code task cards! The kiddos grab a set of these and off they go with their devices in hand! What I love about these cards is they are challenging even for my third graders. 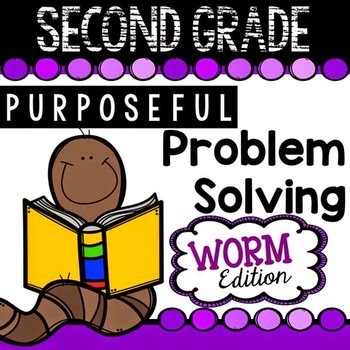 I can pair students up, have them work independently, or in groups. Included are five sets of cards, and she will be adding more as time goes on. They are a steal at their current price! Click on the picture below to see the set! Here is a freebie set for you to try out! My kids loved them! Both my second and third graders still need a ton of practice with telling time, so I'm excited to be prepped for next week! They are going to be so excited with the spring baskets! 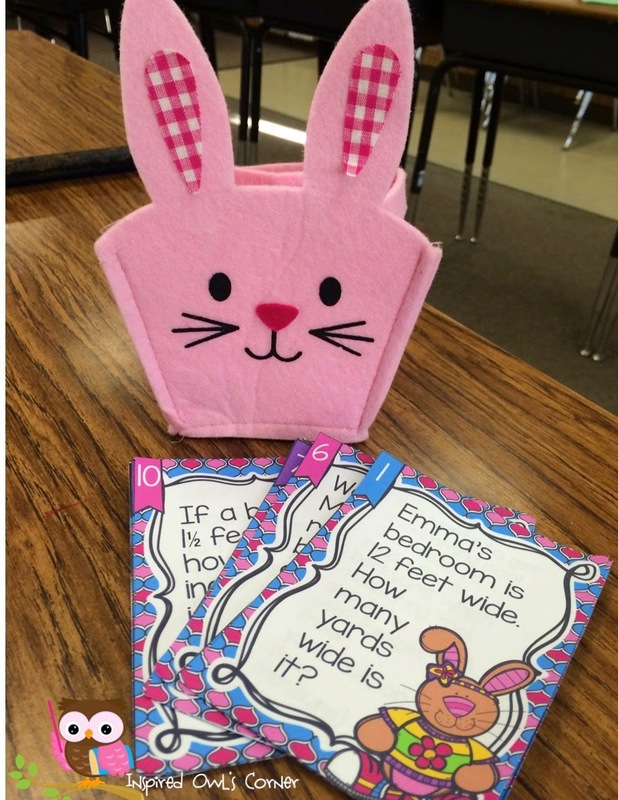 I love the versatility of these cards- they can be posted around the room for a fun scoot game or placed inside a cute basket or bag so students can grab them and go. This has been great for me with my combo! This set is a little easier- matching up birdies and baby birdies to the hour, half hour, and quarter hour. These would be fun placed inside plastic eggs and hidden around the room! I think they are going to love the chick set with the chick eggs! This set is a little more challenging. Student have to read the card and use the clocks on the cards to answer the questions. This set will be GREAT for my kiddos who have a strong grasp of time concepts. They will really have to think! 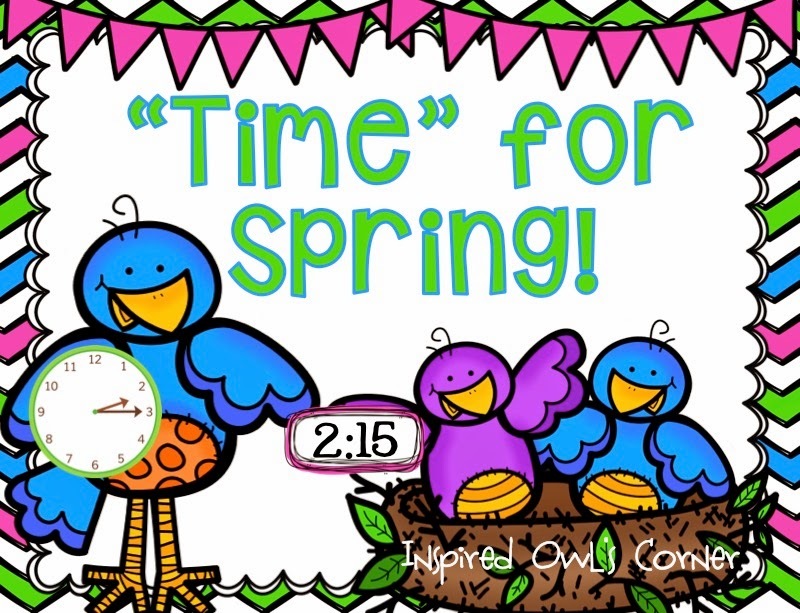 I've given my "Time for Spring" file a makeover! I loved the clip art in the other set, but I had requests for black line copies, and the clip artist I previously used doesn't sell it for that set, so I gave it a little makeover! Included are task cards and activities for practicing time to the hour, half hour, quarter hour, and minute. There is a complete set in color and black and white! You can click on the picture to see it on TpT. My kiddos are learning measurement right now. 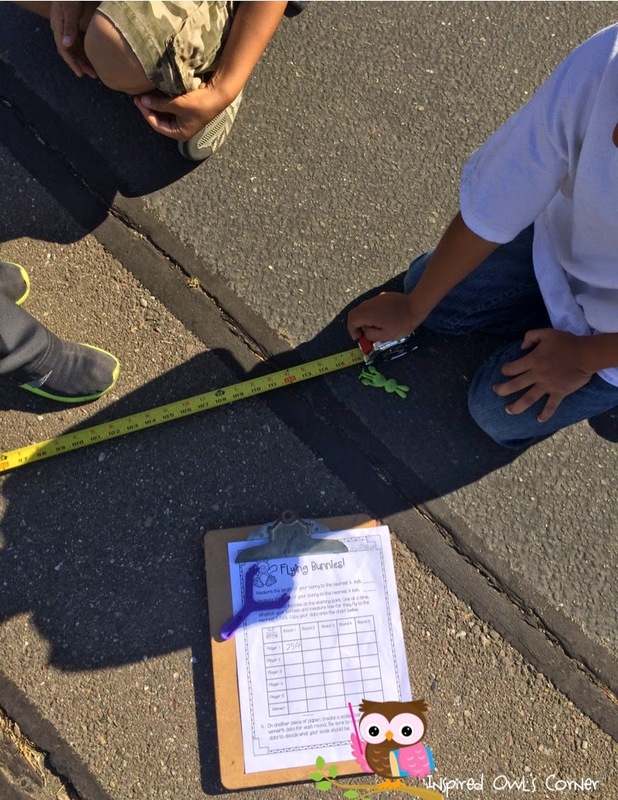 On Friday, we began part one of a hands-on measurement project. 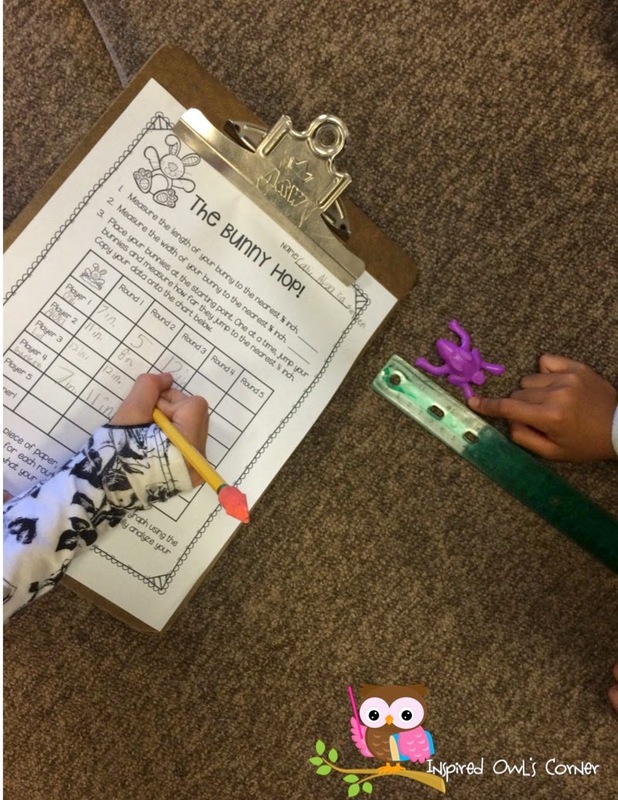 The second graders were "hopping" their bunnies and measuring their distances, and the third graders were "slingshotting" their bunnies and measuring how far they flew with a measuring tape. The students recorded their data for each person for each round. On Monday, they will create their own bar graphs using the winners' data for each round. 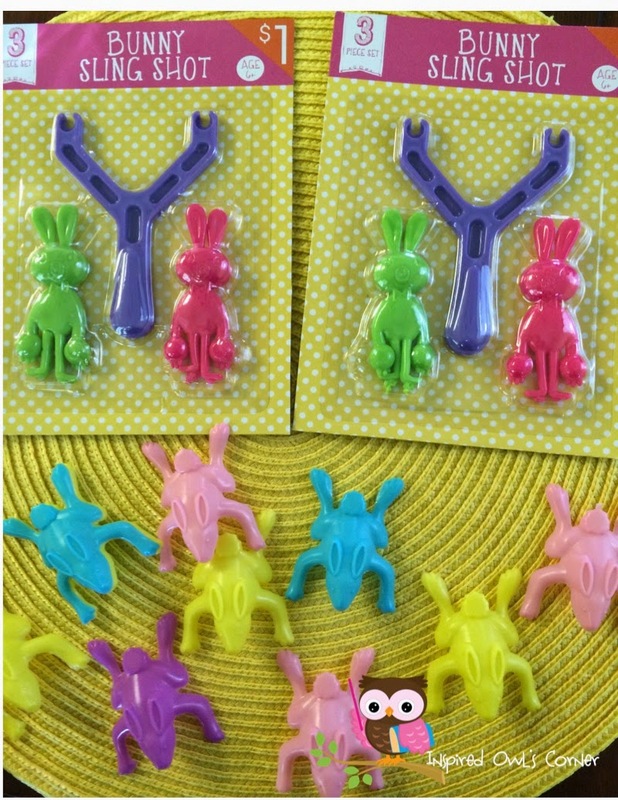 Last year I bought the hopping bunnies from Oriental Trading Company, and I bought the slingshot bunnies at Target in the Dollar Spot. If you aren't able to find these, I have included a sheet of each with the data included in case you want to have your students make a bar graph. I've included a set of measurement task cards to help the students practice. 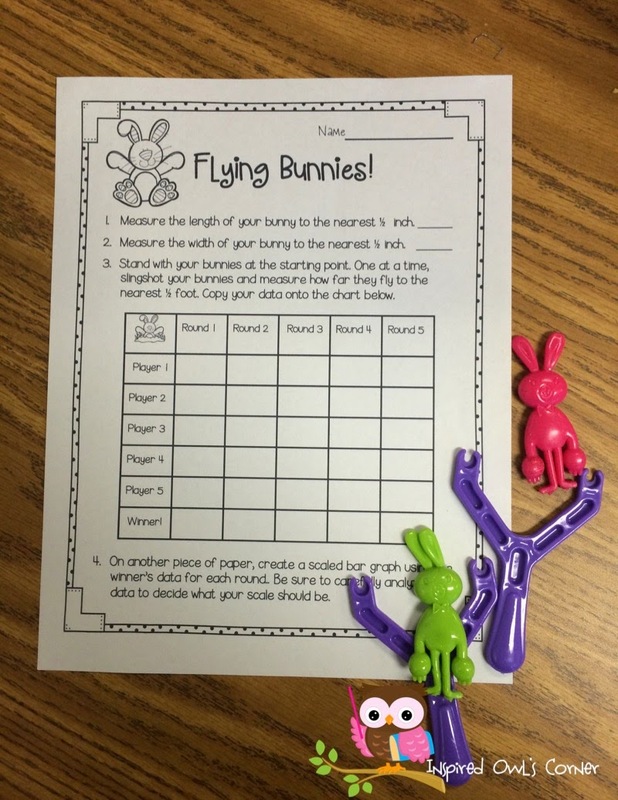 Before they began their hopping and flying bunnies projects, they completed a round of scoot with these cards posted around the room. You could also use them in a work station- just be sure to put them in a cute basket or bag to add to the fun! :) This set comes in black and white too. Click below to grab this freebie. 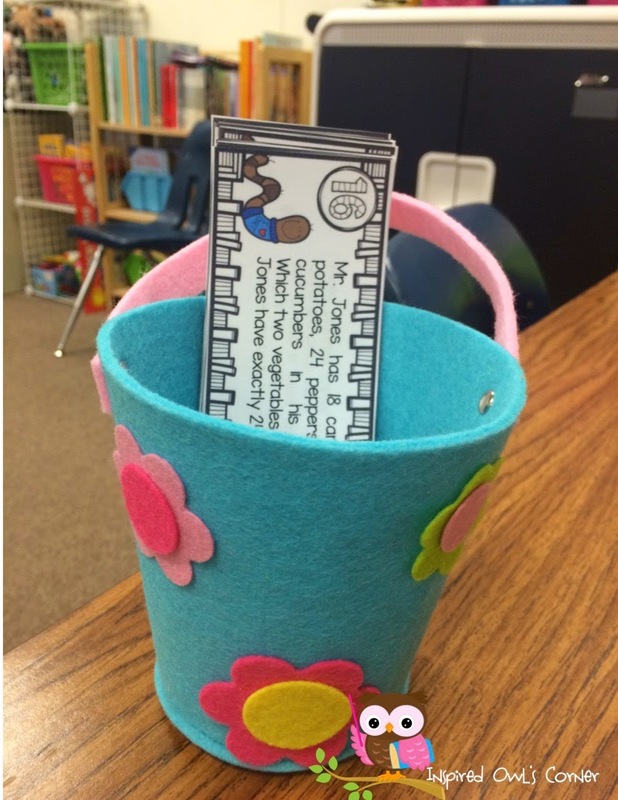 I just LOVE your spring baskets and how they coordinate with learning. Could I come be a student in your class? It's so much more fun that being an adult! What FUN you have in your classroom! I bet the kids are just so happy! And, by the way, I ALWAYS get the same thing to eat when I go out. And I always say I won't... Happy Birthday! Love those center baskets especially the bee:) Happy early birthday sweet friend!! The time set looks great, Marissa! I'm somewhat relieved to hear that your 2/3 combo struggles with time because my firsties do too. Thanks so much for hosting, Happy Birthday to you!! This is such a delightful linky! Thank you for hosting it!! 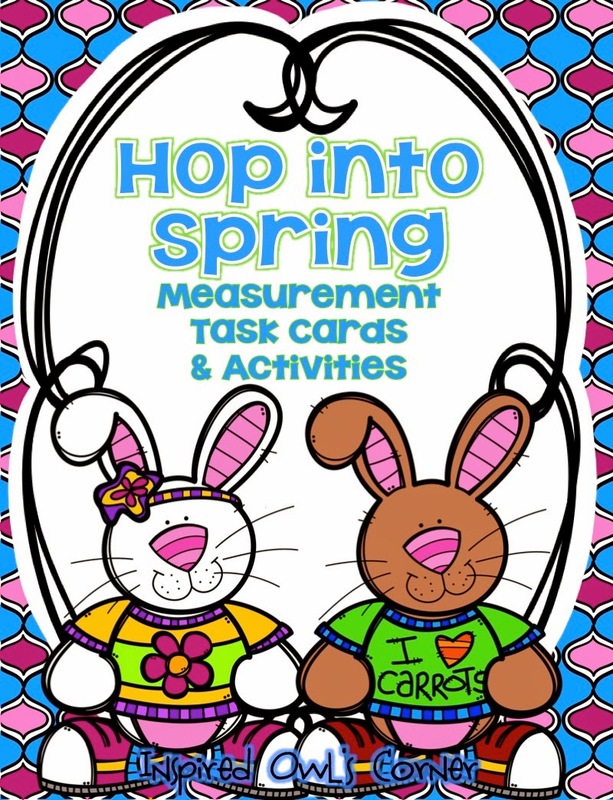 I just love your measurement unit ... how fun for the kids to use those cutie patootie sling shot bunnies! Thanks for sharing the joy in your classroom. 5th graders love themed baskets, too!!! It always amazes me when they get so excited by the little things!! They also love the colored cards inside them as well!! Telling time is not easy and those cards are perfect for upper grades to review with!! Oh, and Happy early birthday! How lucky your students are to have you for a teacher! The baskets are so cute. What a great way to display your centers!